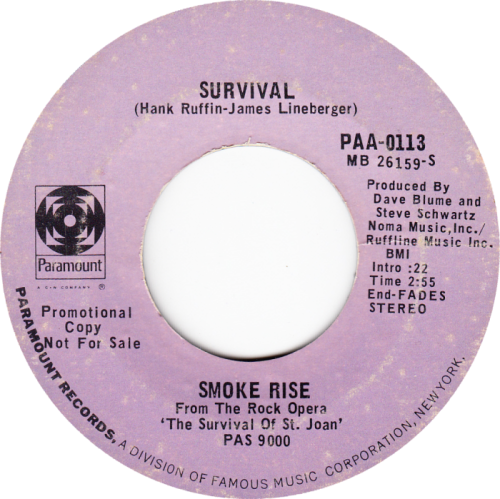 This is a track from Smoke Rise's soundtrack to "The Survival Of St. Joan," a prog-flavored album full of the contributions of a few brothers. The only other track I've heard from the album is the excellent "Lonely Neighbors" (courtesy of PCino45s2 on YouTube). Unfortunately, I'm unable to provide the A-side counterpart to this B-side, "I'm Here/Love Me", as it is quite badly gouged.